It's Father's Day, and while many fathers and sons may spend today together, their activities probably won't involve fighting a war. Brig. Gen. Theodore Roosevelt Jr. was the eldest son of President Theodore Roosevelt. He had served, along with his brothers, with distinction in World War I. When World War II began, he rejoined the Army and was appointed the rank of colonel after taking a refresher course in military strategy. He was later promoted to brigadier general and assigned as the 1st Infantry Division Assistant Commander. His youngest son, Capt. Quentin Roosevelt II, was also in the 1st Inf. Div., serving as an artillery officer. The "Big Red One," as the division was called, landed at Oran, Algeria in early November, 1942. 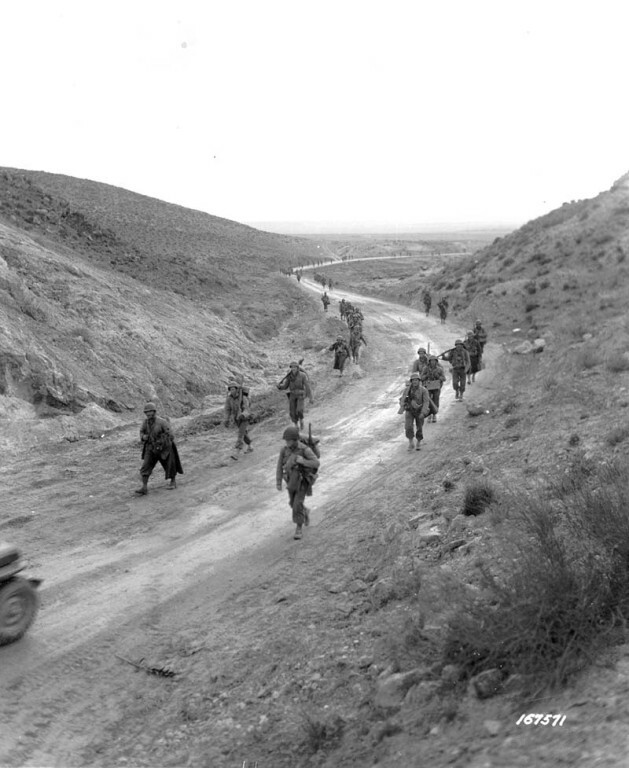 The division fought numerous battles in the back and forth fighting in North Africa. Capt. Roosevelt and Brig. Gen. Roosevelt earned three Silver Stars during the campaign. The first went to Capt. Roosevelt for his part in the Battle of Kasserine Pass. Field Marshall Erwin Rommel, commanding the Axis Forces, had set his sights on seizing Tunis and reversing his earlier losses. To do so, he attacked through Kasserine Pass, a two-mile gap in the mountains defended by U.S. troops. He was rebuffed on his first attempt, but armored reinforcements helped him force his way through on Feb. 20, 1943. In the defense of the pass, Capt. Roosevelt was an artillery liaison officer attached to an infantry battalion under heavy machine gun and mortar fire. He pushed through the thick of it and established a forward observation post ahead of the battalion. From there, he directed artillery fire on enemy positions until he was shot through the back by Messerschmitt aircraft fire. Brig. Gen. Roosevelt would earn the next two Silver Stars for the family. His first was earned on March 22 when he, like his son, manned an observation post under enemy fire. German dive bombers, fighter planes, and artillery were all firing on the observation post as part of a German assault when the brigadier general arrived. He rallied the troops and directed friendly artillery assets, stopping the Germans. The next day, he personally led a reinforced combat team against enemy machine gun positions, moving ahead of each assault wave to show the way and earning another Silver Star, his fourth. Both men received their awards during a dual ceremony in North Africa. Brig. 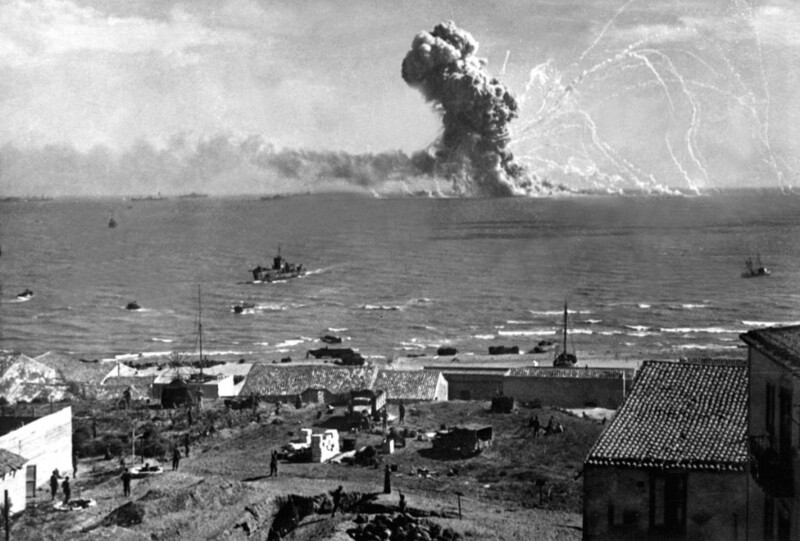 Gen. Roosevelt went on to invade Sicily with the 1st Division while Capt. Roosevelt recovered from his wounds. Unfortunately, Brig. Gen. Roosevelt would soon be relieved of his position by then-Lt. Gen. Omar Bradley due to a perceived lack of discipline in the 1st Infantry Division (page 47-48). Capt. Roosevelt would recover from his wounds in only a few months and return to service with the Big Red One. Brig. Gen. Roosevelt served as a liaison officer to French forces before being reassigned to the 4th Infantry Division for D-Day. On D-Day, both men were among the 150,000 who hit the beaches and are thought to be the only father-son pair in the invasion. Capt. 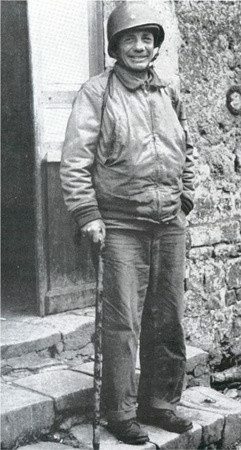 Roosevelt landed at Omaha Beach while Brig. Gen. Roosevelt landed at Utah Beach. At Omaha Beach, Capt. Roosevelt was in some of the thickest fighting of the day. Adverse weather, an ineffective naval and aerial bombardment, and tough terrain combined to make Omaha Beach the toughest nut to crack. 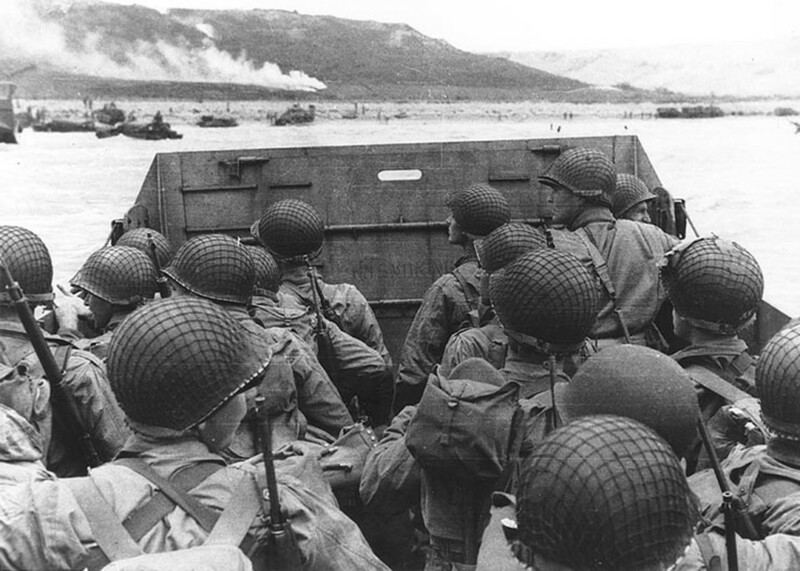 Allied Forces took approximately 10,000 casualties at the beach. Meanwhile at Utah Beach, Brig. Gen. Roosevelt's efforts were considered key to victory. He landed with the first wave of troops despite the fact that his division commander had denied his initial requests twice, only acquiescing after the brigadier general submitted a written request. Maj. Gen. Barton, 4th Infantry Division Commander, would later comment, "When I bade him goodbye in England, I never expected to see him again alive." Brig. Gen. Roosevelt had not only survived the initial landings, but he was instrumental in their success. The only general officer to land in the first wave on D-Day, he began by leading the initial waves in assaults against the German positions. As each new wave landed, he would link up with them on the beach, lead them over the seawall, and assist in the wave's assault. By the time Barton arrived on the beach, Brig. Gen. Roosevelt had a firm grasp of the situation and the destruction of the German positions was under way. When Gen. Bradley was leaving the military, he was asked what the bravest thing he'd ever seen was and responded with, "Theodore Roosevelt Jr. at Utah Beach." For his actions at Utah Beach, Brig. Gen. Roosevelt was nominated for advancement to major general, the Medal of Honor, and command of the 90th Infantry Division (p. 49). Unfortunately, he died of a heart attack just hours before Gen. Dwight D. Eisenhower called to give him the news. His Medal of Honor was approved and given to his wife. Capt. Roosevelt would go on to be promoted to major and would survive the war.